The best deck build to maximize Tyra's damage output in Paladins. Following the release of Paladins on Nintendo Switch, gamers have been searching up the best deck builds for various Champions including Tyra. There are a variety of deck builds that “work” for Tyra (including her base build), with much of the deck structure boiling down to personal preference and play style. 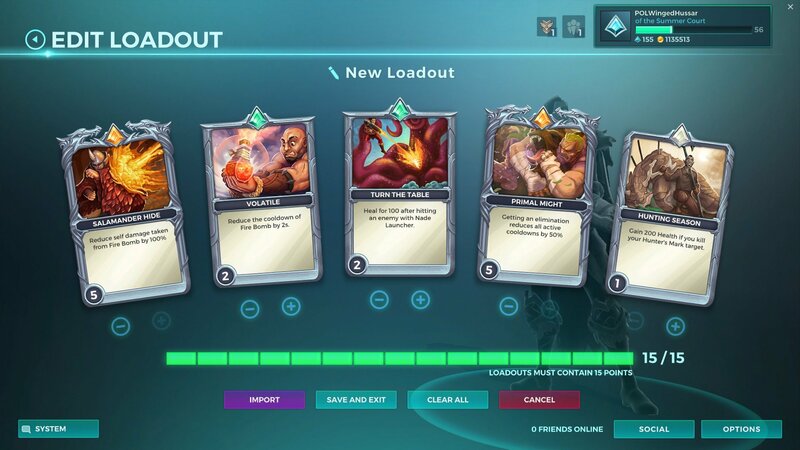 Of course, if you’re new to Paladins or are simply looking for a deck to try out with Tyra, being pointed in the right direction certainly helps. That said, here’s a quick guide on how to build the best deck for Tyra in Paladins! We suggest the cards above when it comes to building the best deck for Tyra in Paladins. Burn, Monster! : Fire Bomb now cripples enemies and deals 50% more damage. Salamander Hide: Reduce self damage taken from Fire Bomb by 20-100%. Volatile: Reduce the cooldown of Fire Bomb by 1-5s. Turn The Table: Heal for 50-250 after hitting an enemy with Nade Launcher. Primal Might: Getting an elimination reduces all active cooldowns by 10-50%. Hunting Season: Gain 200-1,000 Health if you kill your Hunter’s Mark target. Auto Rifle: Fire one shot every 0.9 seconds that deals 120 damage. Effective up to Medium Range. Nade Launcher: Fire a grenade that deals 700 damage in a small area of effect. Fire Bomb: Hurl an incendiary device that leaves a pool of fire for 6 seconds. Enemies that contact the fire will burn for 9% of their maximum Health over 0.6s and have their healing reduced by 50%. Continued contact refreshes this effect. Hunter’s Mark: Mark an enemy for 6 seconds. Marked enemies are revealed and take 15% increased damage from your basic attacks. Crossfire (Ultimate): Gain 40% attack speed and 40% movement speed for 4.5 seconds. Firing does not consume ammo. The reason why we suggested that particular deck build for Tyra is because it maximizes Tyra’s AOE attack, Fire Bomb. This can be extremely useful for dispersing enemies on a Payload or Objective. Additionally, it gives Tyra the ability to take less damage from her attacks, reduce cooldowns, and regen Health. For a different approach, you can try this Hunter's Mark deck build for Tyra in Paladins. If you’re looking for an alternative deck build to the one we’ve suggested, you can also give the following Tyra build a try in Paladins. Hunting Party: Hunter’s Mark damage increase now also benefits allies, is increased to 25% bonus damage, and has a 2 second reduced cooldown. Favored Quarry: The reveal portion of your Hunter’s Mark lasts 2-10 seconds longer. Locked and Loaded: Increase your ammo count by 2-10. Tracker: Gain 5-25% movement speed while Hunter’s Mark is active. This deck build changes Tyra’s play strategy to favor Hunter’s Mark and 1v1 engagements rather than AOE. It can be useful for players who like to play as an assassin, picking off enemies one by one. Additionally, it boosts Tyra’s basic Auto Rifle attack by increasing her ammo and damage output. No matter what deck build you end up using for Tyra in Paladins, the important thing is to use it to enhance the skills you use most. Tyra is a damage champion, meaning she provides crucial team support by eliminating problematic enemies. She can be squishy when cornered, so try to launch Fire Bomb at clustered enemies, and avoid rushing in guns blazing. Let us know in the comments below how you prefer to build Tyra’s deck in Paladins, and what strategies you use to make the most out of this balanced damage Champion. 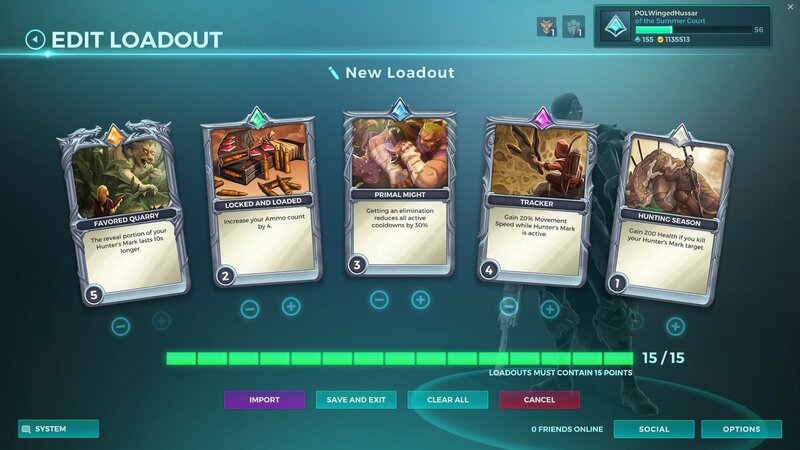 For more on Paladins, be sure to check out some of our previous guides including the best Paladins Champions to play in each class, the best deck build for Koga in Paladins, and how to disable Auto Purchase Items in Paladins. By reading through this guide, you should now know the best deck build for Tyra in Paladins.